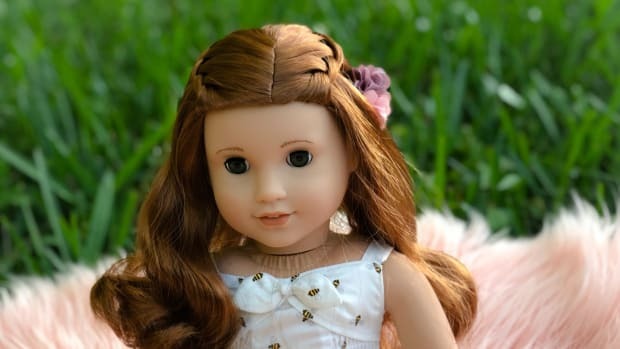 When I think Easter, I think brightly colored eggs, pretty pastel decorations, and all things baskets and bunny! Decking out the house for this joyous holiday is no difficult task; just throw some dyed eggs in a wicker basket, and you&apos;ve got yourself a totally adorable centerpiece. We got these glitter-egg decorations at the Dollar Store and displayed them in a tall glass vase lined with some green "grass." 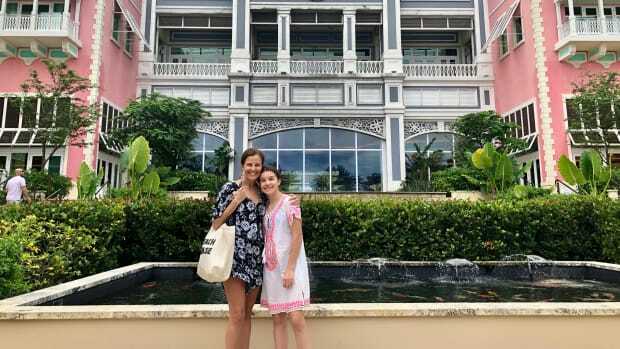 It really doesn&apos;t get much easier, and it&apos;s a great and almost effortless addition to the kids&apos; table! 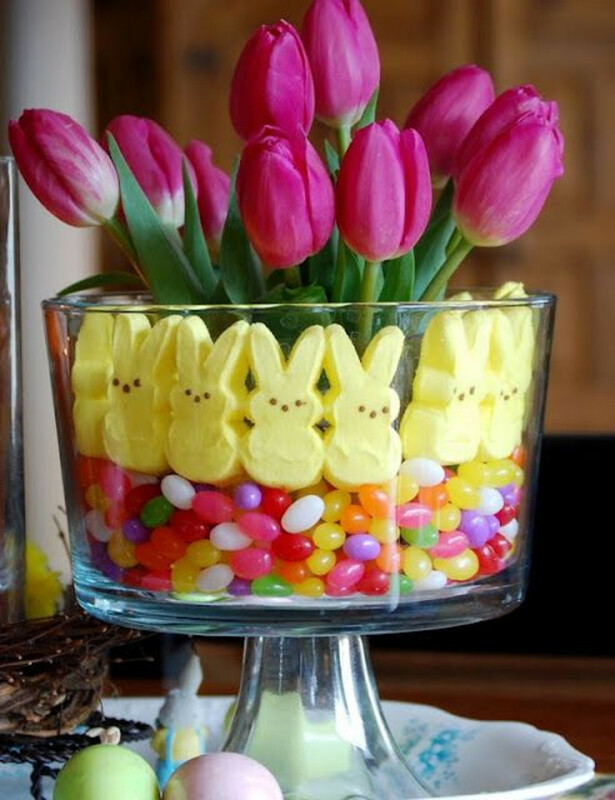 Floral Eye-Candy: A layer of jelly beans and a layer of neon peeps make a super-sweet foundation for a bouquet of tulips or seasonal blooms. 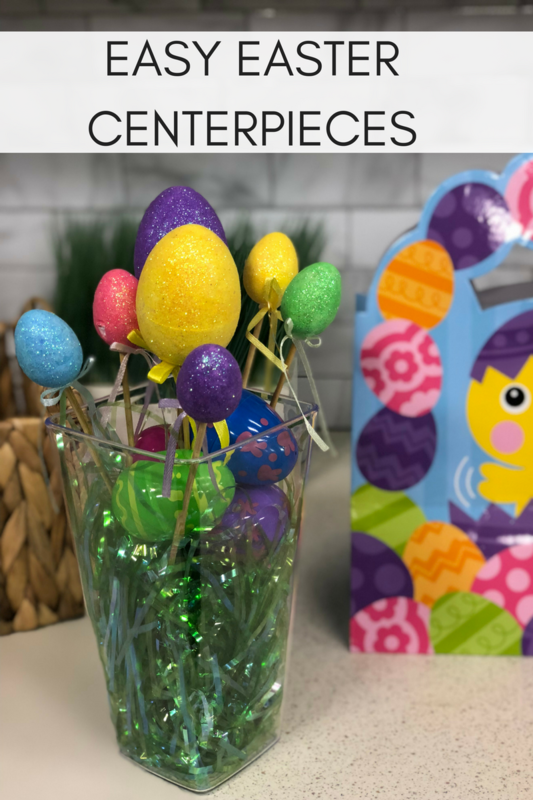 Create a Garden: Some fake grass, a few flowers, painted popsicle sticks (to make a white picket fence) and some "hidden" Easter eggs make this a whimsical display. 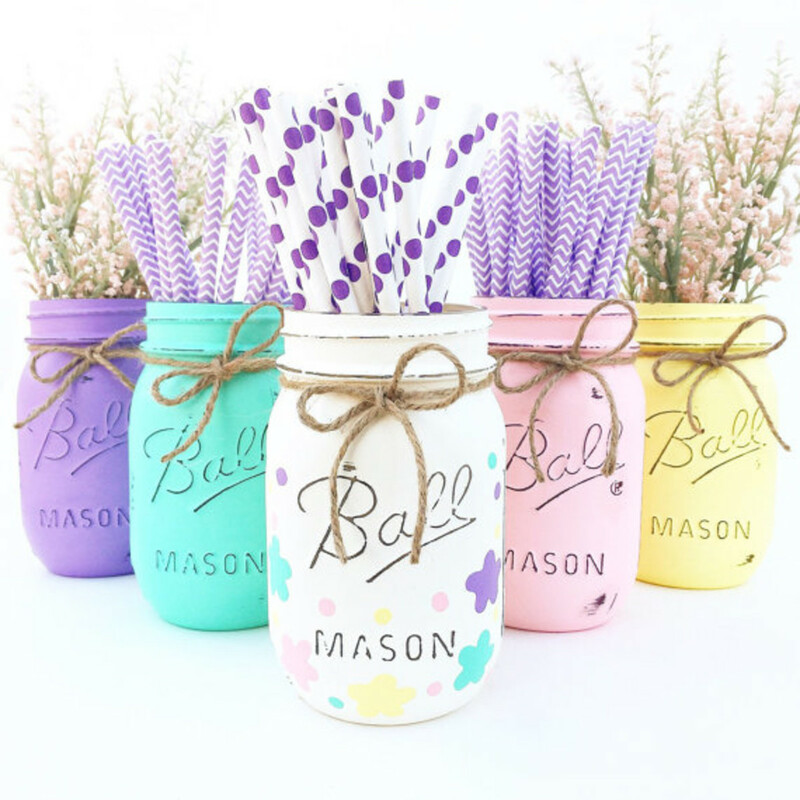 Pastel Everything: Think beyond the dyed Easter egg and get into a pretty-in-pink and pastel frame of mind with these colorful mason jars. 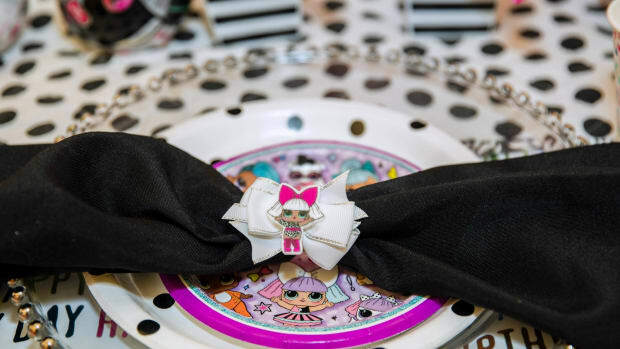 You can use them to house flowers, straws, utensils, or just about anything else. 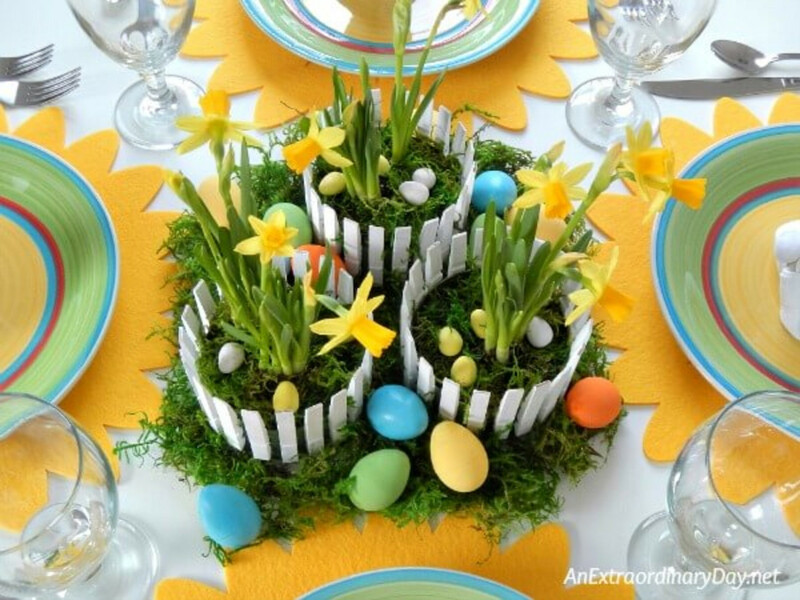 Incorporate Carrots: The Easter Bunny himself will be pleased to see this centerpiece on the table. 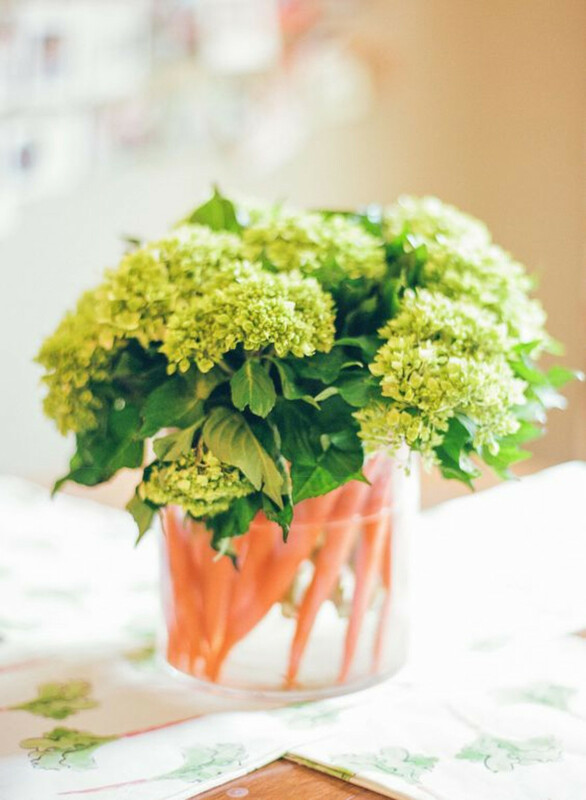 How simple, apropos, and chic is this hydrangea and carrot arrangement? 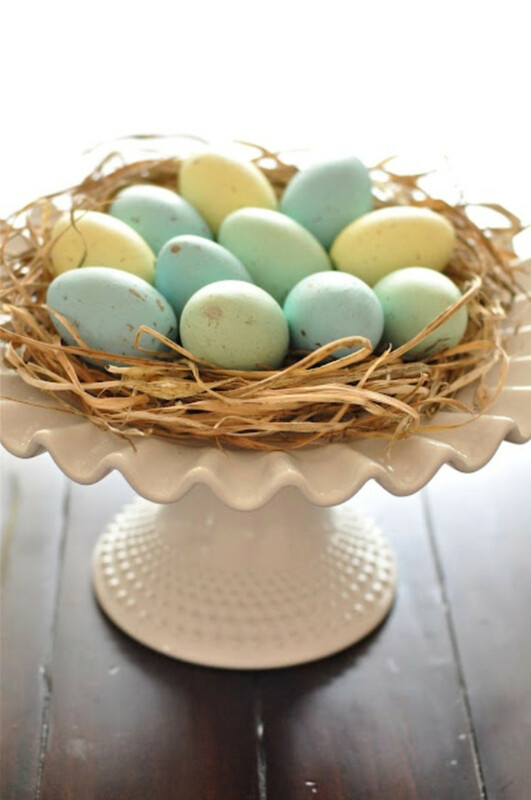 Make a Nest: Choose a color scheme for your dyed eggs, and lay them out in a "nest"on a cake platter. How simple and beautiful is this display?